While almost one-third of people who took part in a new opinion poll said they believe climate change is happening because of human activity, only two per cent of Canadians who responded believe climate change is not occurring at all. Only two per cent of Canadians who responded to a new opinion poll believe climate change is not occurring. The findings are in a survey conducted by Insightrix Research, Inc. for IPAC-CO2 Research Inc., a Regina-based centre that studies carbon capture and storage. The online poll of 1,550 people was done between May 29 and June 11. The results were to be released on Wednesday. "Our survey indicates that Canadians from coast to coast overwhelmingly believe climate change is real and is occurring, at least in part due to human activity," said centre CEO Carmen Dybwad. Respondents were asked where they stood on the issue of climate change. 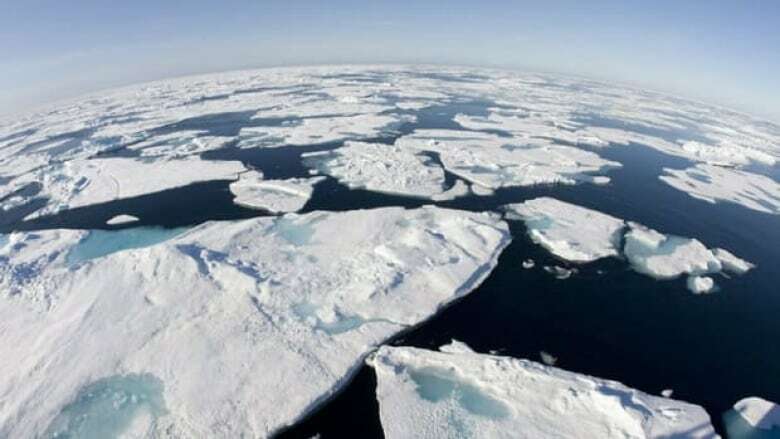 Almost one-third — 32 per cent — said they believe climate change is happening because of human activity, while 54 per cent said they believe it's because of human activity and partially due to natural climate variation. Nine per cent believe climate change is occurring due to natural climate variation. Two per cent said they don't believe climate change is occurring at all. The opinions about the cause of climate change and how to combat it are divided among the provinces and by region. According to the survey, Prairie respondents are least likely to believe that climate change is occurring due to human activity, while residents of Quebec, Atlantic Canada and British Columbia are most likely to hold this belief. The survey found 44 per cent of Quebec respondents, 34 per cent of Atlantic Canadian respondents and 32 per cent of those surveyed in British Columbia are likely to believe climate change is occurring due to human activity. Alberta and Saskatchewan came in at 21 per cent while Manitoba was at 24 per cent. Unlike traditional telephone polling, in which respondents are randomly selected, the Insightrix survey was conducted online among 1,550 respondents, all of whom were chosen from a larger pool of people who agreed to participate in ongoing research. They were compensated for participating. The survey set quotas by age, gender, region and education to match the general population. The survey also found that 51 per cent of Canadians respondents across the country believe fossil fuels will still be used after the year 2050 for electricity production in Canada. That belief is highest in Alberta at 66 per cent and lowest in Quebec at 37 per cent. The acceptance of climate change and the extent to which humans are responsible for it has been a politically sensitive issue, most recently in the Alberta election. Wildrose Party Leader Danielle Smith's team started strong in the campaign, but faltered near the end when Smith said the science of global warming was not settled. Smith found herself booed roundly at a late-stage leader’s debate over the issue. Former Alberta premier Ed Stelmach said Smith's refusal to admit climate change exists cost her party a shot at victory. He said voters agreed Alberta would have a big problem selling oil and promoting environmental stewardship on the world stage with a premier who didn't believe in climate change.